I visited Phuket for the first time almost six years ago. 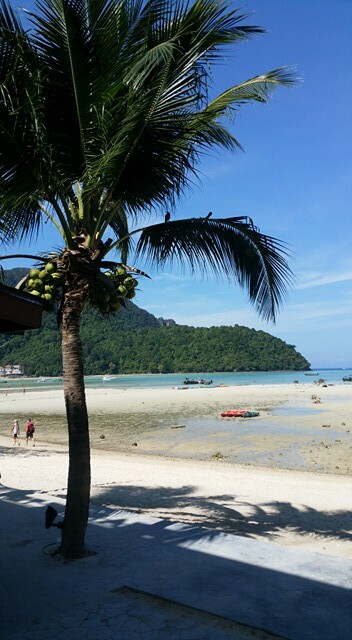 It was my first venture to Asia and after a few days in Bangkok, we headed down south to the island to relax. My budget was a bit bigger that time since it was a holiday so we stayed in a really lovely resort up in the mountains and didn't really leave it that often. I guess that's always the way with resorts; five restaurants, a bar, a spa and a swimming pool, was all that we needed. This time around, I’m backpacking which was a whole different experience. Phuket is a very touristy part of Thailand but I enjoyed my time there all the same; it's my first destination of 2018 so to start off this years posts here’s what I’ve been up to this week! 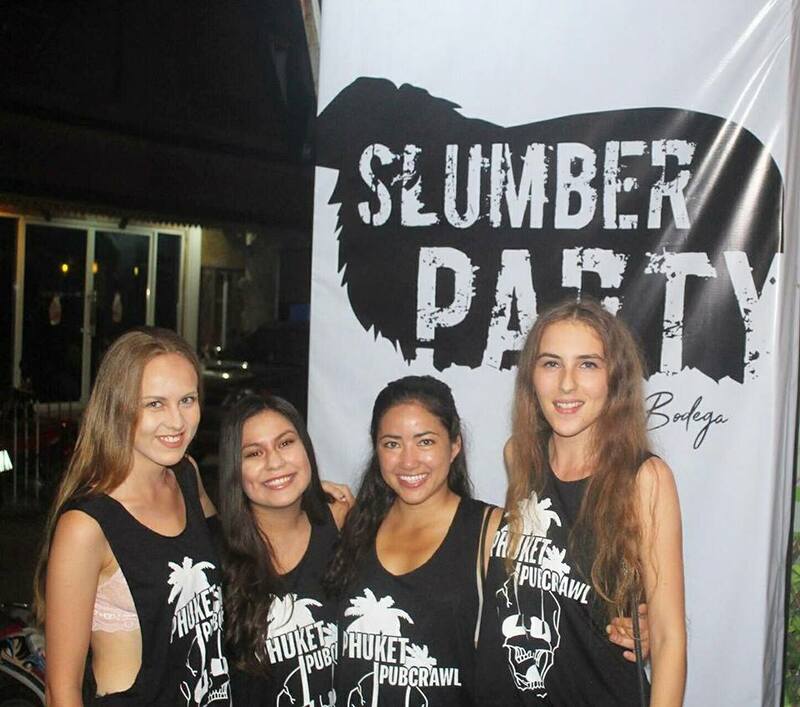 I stayed at Slumber Party Hostel by Bodega and it was the perfect base for my trip. They are a well known chain around Thailand and I had big expectations after everything I'd heard about them through my travels so far; and I can confirm that they delivered. 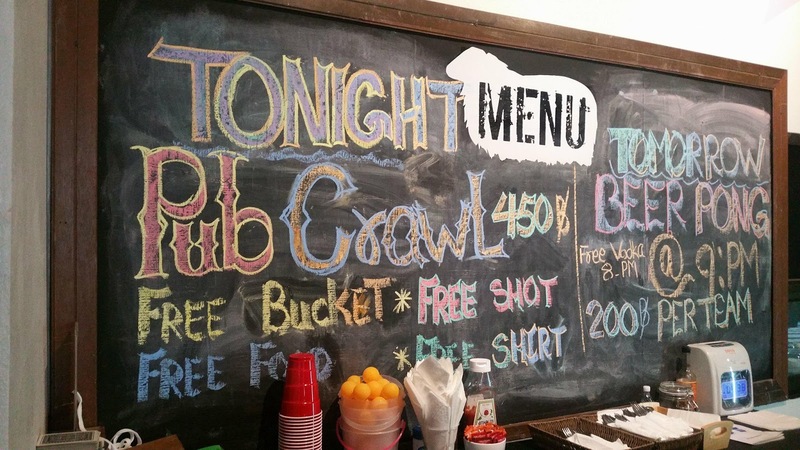 The Phuket hostel is in a great location near the infamous Bangla Road and also the beach. The accommodation part was perfect. It was clean, quite and comfortable and the beds were freshly made every day - I managed to get a good night’s sleep every single night. 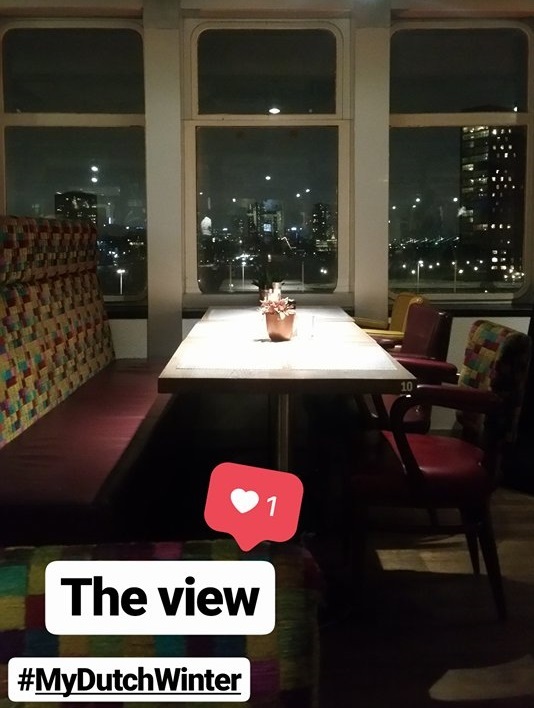 The best thing about this hostel though, is its atmosphere; if I wanted to be social (and I did) there was always the opportunity to party downstairs. They run a bar crawl three times a week and beer pong every other night which always gets everyone going. Also, like all good party hostels, there is free alcohol at the bar most days and at 6pm like clockwork you can expect a knock on your dorm door from one of the staff with a bottle of vodka. I stayed for 8 days in total and even then I didn't want to leave. By the end of it, I had made good friends with some of the staff and it just felt like home - definitely a sign of a good hostel! 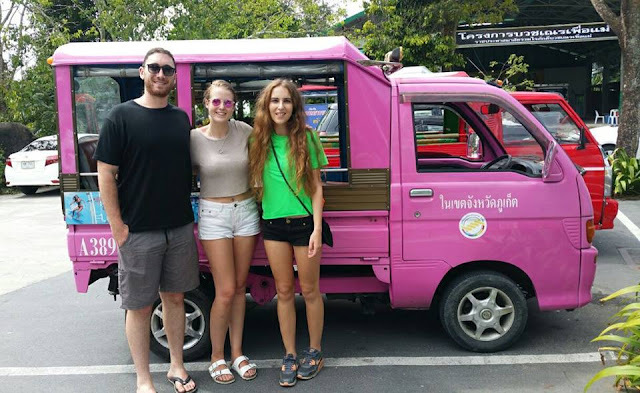 A couple of us from the hostel got together and hired a tuk tuk driver (we went for a pink one obvs) to take us around the southern part of the island for one of the days. We decided what things we wanted to go and see and spent an hour bartering for a reasonable price. I love how hostels bring people together. You can be complete strangers one second and the next you've spent all day having fun together. 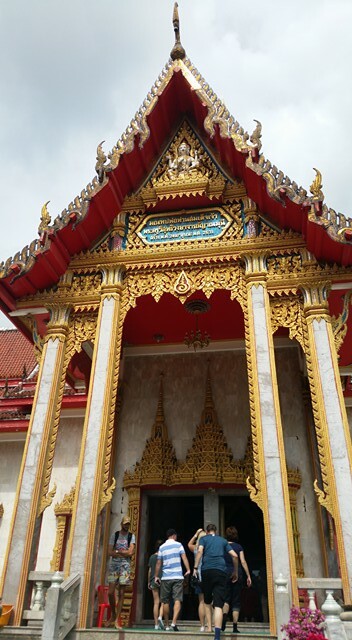 This was one of our stops with the tuk tuk driver and is one of Phuket’s most famous attractions. Surprisingly, it was free entry to visit. The buddha itself it 45 metres tall and kinda sorta unfinished at the moment - you can give donations to buy the white tiles (White Burmese jade marble apparently) that cover the buddha and you can also buy the little bells that surround it. I loved the atmosphere these gave, the sound of bells in the wind at the top of the island was very serene. 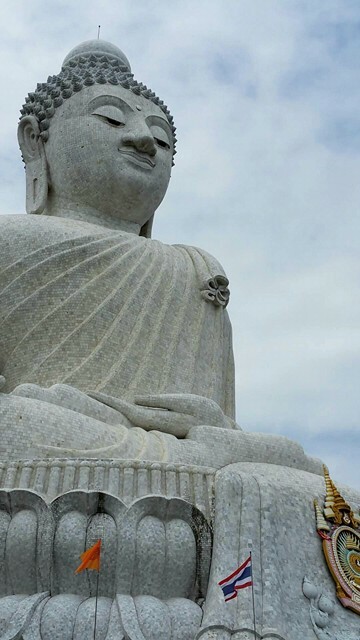 It sits on the top of a hill so as well as going to see the iconic buddha, you get a pretty cool viewpoint as well. I’ll admit it, a lot of people, myself included get a bit templed out after a few weeks in Thailand but I really liked this one - it’s the biggest and probably the most popular temple in all of Phuket, you could tell it was very well looked after. And again, this was free entry which was actually quite surprising because otherwise, I have found Phuket to be the most expensive part of Thailand. We bought candles and incense which we lit outside the temple, before taking our shoes off and wandered around inside. Phuket is famous for its beaches and whilst Patong beach was walking distance from the hostel, we decided to stop off at Kata beach for lunch after our morning of sight seeing; not before having a little splash around in the sea. This is the one I mentioned earlier and I did it again and again. It happens every Monday, Wednesday and Friday and was such a great opportunity to get everyone together, meet people and just have fun. The price includes a free t-shirt (which honestly is all you usually need to convince me - I do love a customised tee printed for a specific event) but you also get food at the hostel before you go out which is a pretty clever idea really. As well as that, and shots at each bar, you get a bucket and that was me done for the evening; I didn’t have to buy any more drinks for the rest of the night! Also, the staff from the hostel always make sure you get home safe which is super reassuring, especially when you're travelling solo. You can do day tours that go to both Phi Phi and the famous James Bond Island and then back to your accommodation in Phuket but alot of people like myself, like to stay overnight on Phi Phi. It super expensive compared to the rest of Thailand but definitely a lot of fun - sometime too much fun! I can only handle a couple of days there at a time before I have to retreat back to normality. Saying that, the boys and I managed to get alot of rest during the day because while the beach is the home to some of the craziest parties on the island, it's pretty serene and beautiful during the day. We did one night partying on the beach and one night in a nice resort away from the madness. After Phi Phi we headed back to Slumber party for a couple more nights of fun in Phuket before leaving for the next destination! A few days after returning home from Asia, I was off to The Netherlands to explore again with Stena Line! 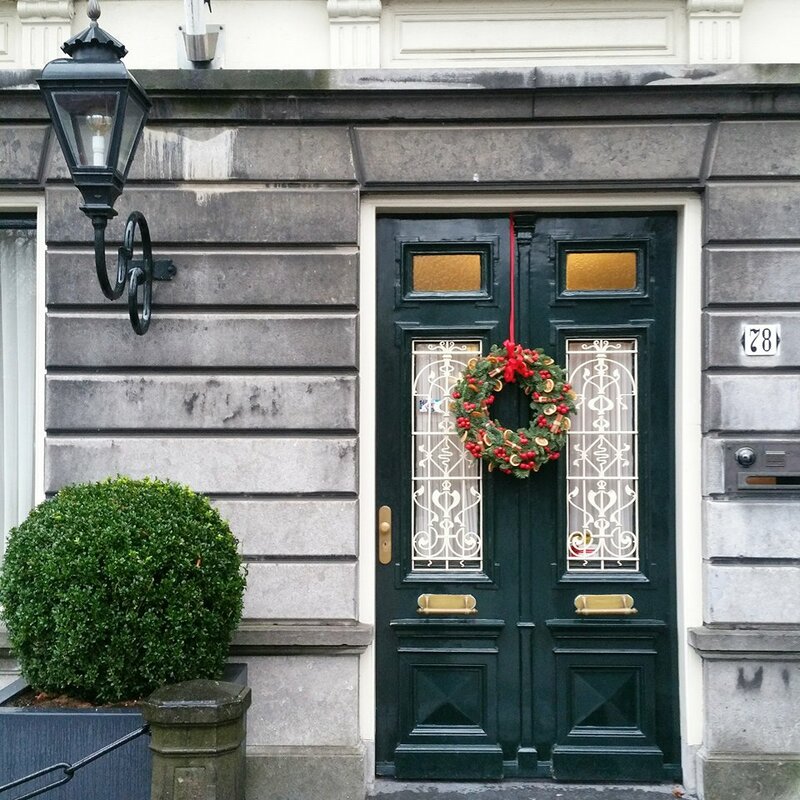 Last time we travelled in the summer on a mini road trip but this year we explored more of The Netherlands in the wintertime and today I wanted to share with you my highlights from the trip! I'm going to try really hard to not make them all food related but I cant promise anything. Like I said, I've taken a ferry to Holland a few times in the past (both with my family and on press trips) and it's a style of travel that I really enjoy. Firstly, having cruised for most of my childhood with my family meant I now feel really at home traveling on a boat. As my mum always says, it means that your holiday starts as soon as you step on board which is something you can't say about flying to a destination. 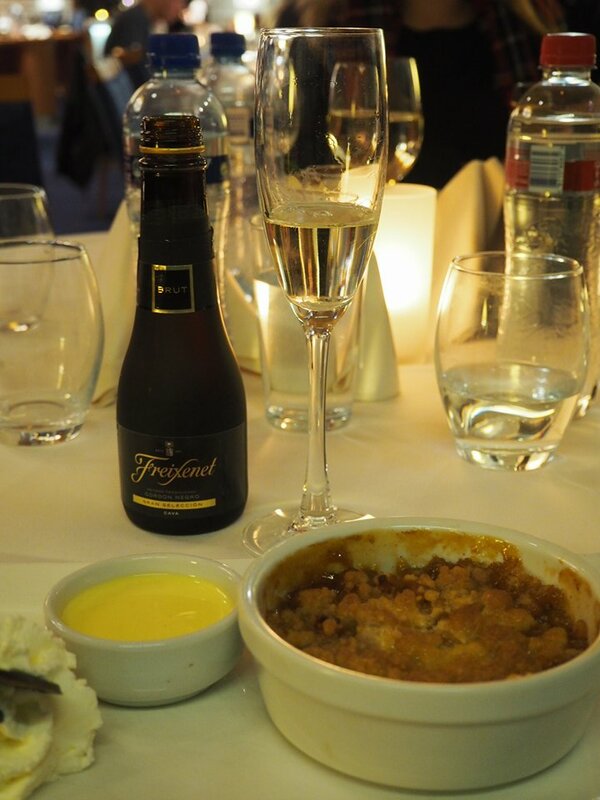 Like last time, we got a rail and sail ticket straight from London to the boat where we boarded, dropped off our bags and headed to dinner; which we finished off with an apple crumble and a glass of fizz - now that's my kind of journey. Departure was just as easy and is literally, just a matter of walking off of the boat, getting our passports checked and getting into a taxi to the hotel. The Hague was our first stop and after a day exploring the city we headed to Scheveningen (the seaside!) just in time for sunset. The pier itself is all glassed in so even though it was cold, it was still a lovely place to be. At the end of the pier, was a ferris wheel! Again, this would have been really lovely had the weather been in our favour but even though it wasn't, it's still made it to my list of highlights because a ferris wheel in stormy winds was just quite the experience! All wrapped up warm and squashed into a pod; we had a beautiful red and orange sunset, the views back over The Hague and a good laugh in between squeals! During our walking tour that day, we went to a couple of art museums. 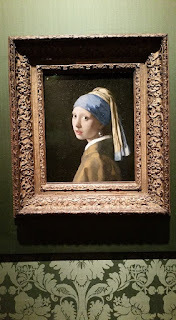 I'm not usually a big fan of museums but Mauritshuis in The Hague, which is currently home to the famous painting was more like a big manor house than a museum! 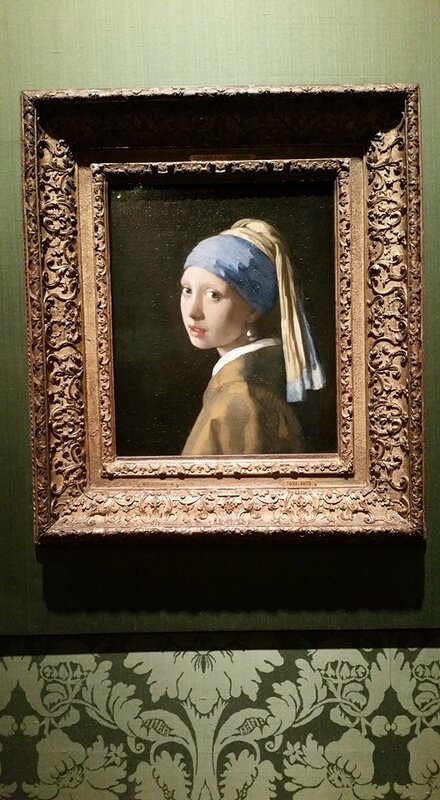 I was super excited to be able to go and see such a famous painting in real life. Its much smaller than I had expected! The next morning we were off to Utretch and I really did enjoy walking through the quaint streets. 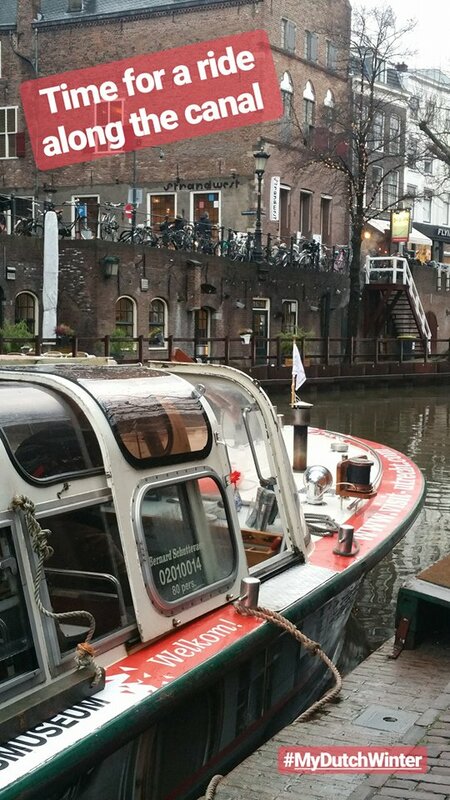 It's such a picturesque place during the day but a canal ride as it started to get dark was definitely my highlight of our time in the town. When it's cold, and it was, it is a wonderfully warm, comfortable and relaxing way to see the place. I loved looking up at the brick bridges, the foodie stores (we picked up alot of cheese between us during our time there) and the bikes that lined the railings watching as daylight turned to fairy lights. 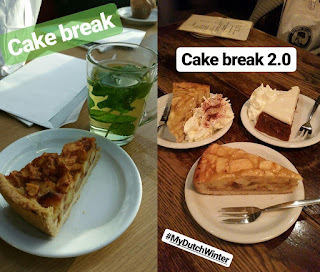 I've always been a fan of a cake break but whilst I was in Holland, I was particularly excited for our little stops in between activities because every cafe that we stopped in was serving Hollandse Appeltaart! Apple seemed to be a bit of a running theme right?! Similar to an apple pie but much simpler - a crumbly, almost short crust tart with a simple apple, sugar and a cinnamon filling which was always served cold. I always had mine with a cup of mint tea so I could pretend a cake break was actually a healthy thing to do. Our last stop was Rotterdam and heading to the top of the Euromast was a great way to see the city especially whilst it was blanketed in snow. It was just a short water taxi ride from our amazing hotel - the SS Rotterdam where we stayed the night before so we were there within minutes of leaving the warmth of the lobby. Talking of which: This one earned it's spot on this list for two reasons. 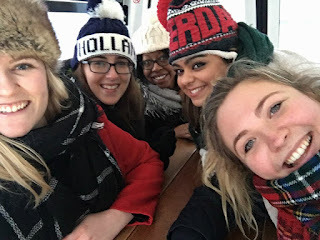 Firstly, the whole boat experience was pretty cool and a very unique thing to do in the city. We stayed the night on board in cabins which were just the same as any cruise ship I've been on in the past. And the second reason? Dinner here was a highlight for me was because it was the first time I'd eaten a three course meal by myself which is kinda surprising considering I've just been one a three month trip around SEA solo. Let me explain how that came to be on a group press trip. I seem to had been particularly struggling with the snow in the Netherlands so whilst the rest of the group headed out to dinner, Sophie the lovely PR with us said I could chill out and eat on board if I preferred; which I definitely did. 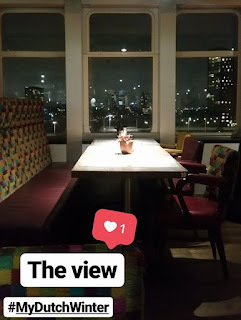 I headed up to the lido where the staff sat me down on a lovely table looking out over Rotterdam which was all lit up. A good WiFi connection and a lovely warm atmosphere meant I had no problems enjoying a meal for one. Plus there was a chocolate sphere on the menu so I had to stay for dessert. 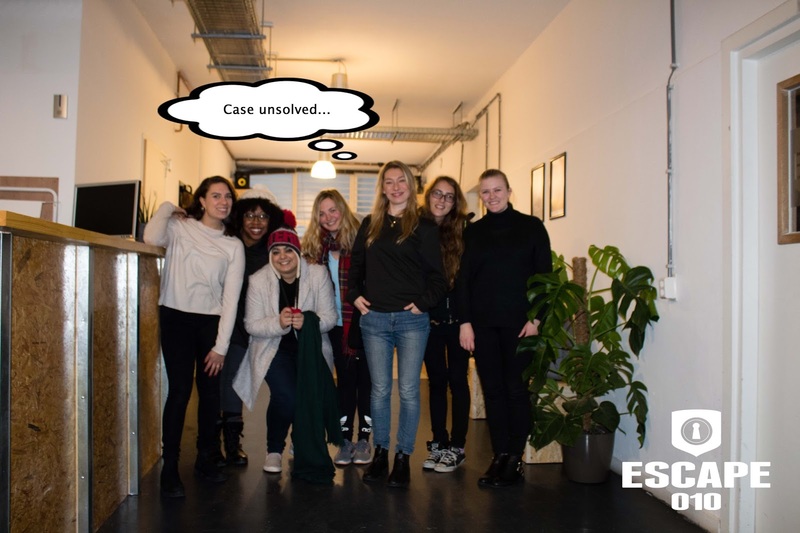 It was pretty snowy again on our last day so we were all pleased to have a fun activity to do indoors; plus it was the first time I'd ever done an escape room too. We completely failed - the guy ended up giving us 15 minutes extra and then telling us the last answer because we just couldn't work it out but I still had an awesome afternoon! Of course alot of my highlights involve food but this time it's a local Dutch treat that I wanted to share with you. Oliebollen are huge balls of dough that have been cooked in oil hence the name. 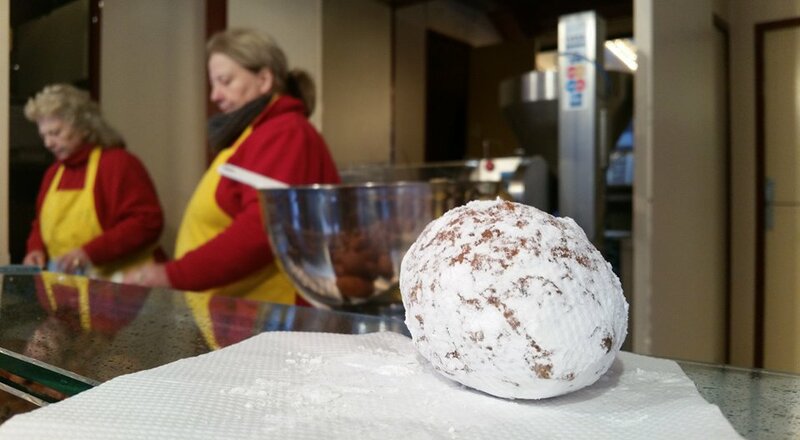 They are rolled in icing sugar and traditionally eaten on new years eve. We saw them all over Rotterdam - although it was sort of that time of year; anyway we picked a them up at a little stall on the street and ate them as the snow was falling around us. The aim of the game is to get the icing sugar everywhere and I seemed to do a better job of it than anyone else as the rest of the group were in fits of giggles with what they described to me as an icing sugar beard; I didn't care though. I was so cold and food takes me to a happy place so I just focused on the fluffy dough in question. 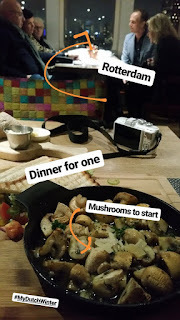 The snow was really starting to fall heavily by then so we spent our last few hours in Rotterdam in a cosy little pub eating meatballs and drinking mulled wine before heading back to the hook of Holland to get on the ferry back to London! Stena Line offers twice-daily, seven hour return crossings between Harwich and the Hook of Holland. Return fares start from £148 for two adults and a car. Return fares for a family of four start from £178. www.stenaline.co.uk/ferry-to-holland. Rail and Sail option starts from £55 one way, ferry travel and train. 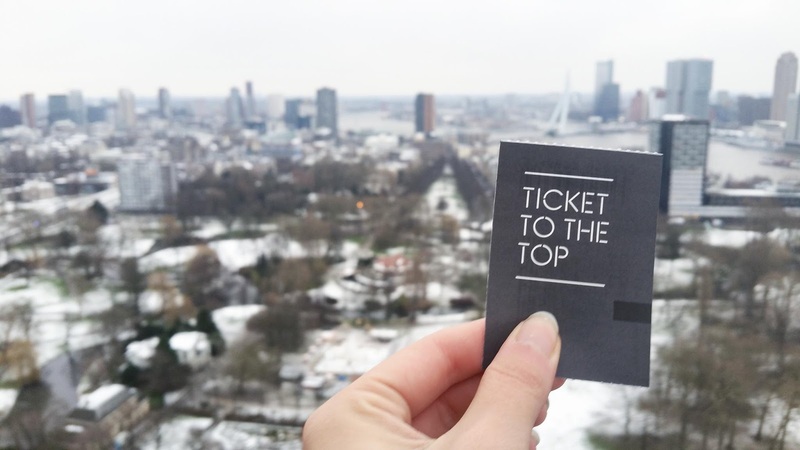 Stena Line’s Dutchflyer rail-and-sail service allows customers to take any Greater Anglia service to Harwich, and then on to any Dutch city of their choice. Thanks to Stena Line, The Visit The Hague, UTRETCH Marketing and Rotterdam Partners for hosting me on this trip!